Balinese lounging, complimentary shuttle service and a location less than 10 minutes from the beach are prime reasons guests book the Hotel Margaritas Cancun. The four-story Hotel Margaritas is home to 74 smoking and non-smoking rooms that all feature private balconies, Wi-Fi access, LCD TVs, coffeemakers and limited room service. Guests head to the on-site restaurant for breakfast. For relaxed refreshment, guests lounge on Balinese-style beds with sunny cocktails. Complimentary shuttle service to the Mandala Beach Club is included. Parking is available. 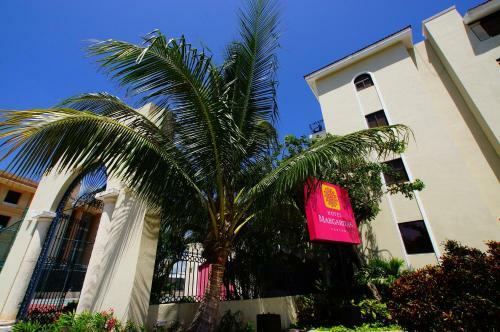 Two miles east of central Cancun, the Hotel Margaritas is six miles south of the ferry leading to Isla Mujeres and within 10 minutes of the sunny Caribbean-lined beaches. A 12-mile journey north leads to the Yum Balam Nature Reserve. El Rey Archaeological Zone is 16 miles away. Additional popular sites include Tulum, 82 miles south, and Playa del Carmen, less than one hour away. Cancun International Airport is 12 miles south of the hotel. 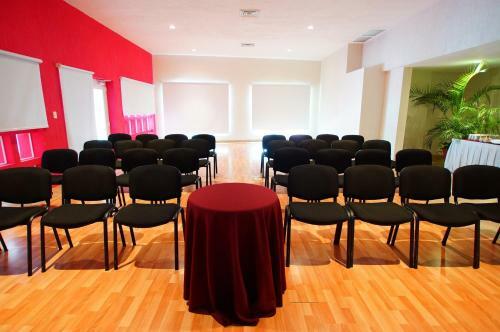 Hotel Margaritas Cancun is an ideal Cancún lodging choice for your trip to Mexico. With numerous amenities for guests such as currency exchange, laundry, you will wake up at Hotel Margaritas Cancun feeling excited every day for your time in Cancún. Don’t let this amazing reservation opportunity pass you by, book your stay at Hotel Margaritas Cancun today to make the most of your time in Cancún, Mexico.